It is with sad hearts that we announce the passing of William (Bill) Charles Thomas at Hospice House Fredericton on January 24th, 2019. He was 78. Born in Stockport, England he was a son of the late William and Lucy (Simpson) Thomas. William is survived by his daughter Bronwen Thomas, his son William (wife Bronwen Whitney) Thomas, sister-in-law Doreen of Ontario, and brother-in-law Gerry (wife Anne) of Prince Edward Island, as well as many cousins’, nieces, and nephews. He was predeceased by his wife Constance (Mowry)Thomas and a brother George Thomas. After many moves across the Atlantic, Bill and his wife settled in Fredericton, NB where they both worked at the Dr. Everett Chalmers Regional Hospital until their retirement. 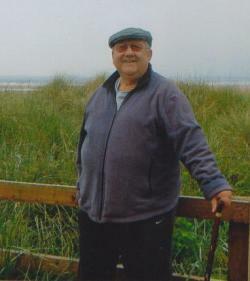 William’s ashes will be returned to his final resting place in the green hills of England, where he used to love hiking and cycling in his youth. Visitation for William will be held on Thursday January 31, 2019, from 6-8 PM, and a celebration of life will be held Friday February 1st at 2PM from Bishop’s Funeral Home Chapel, with Rev. John Sharpe officiating. In lieu of flowers, donations may be made to the Cancer Research Foundation, SPCA, or the Salvation Army. Online condolences and the sharing of memories may be expressed through www.bishopsfuneralhome.com.